Elisabeth Remy Johnson, Principal Harpist of the Atlanta Symphony offers insight into orchestra life! — American Harp Society, Inc.
Elisabeth Remy Johnson, Principal Harpist of the Atlanta Symphony offers insight into orchestra life! Many young harpists dream of a successful career as a concerto soloist and orchestral harpist. Elisabeth Remy Johnson, Principal Harpist of the Atlanta Symphony Orchestra since 1995, is living this dream, having performed major harp concertos and orchestral repertoire. Ms. Remy Johnson will perform an evening solo recital and lead a master class on concertos and orchestra excerpts at the American Harp Society, Inc. Summer Institute to be held June 19-22, 2019 in Winston-Salem, NC. Today she offers personal insight into life as an orchestral harpist and how students can best prepare for this type of a career. What is your favorite part about performing with an orchestra? Remy Johnson: There are lots of things I love about performing with an orchestra! I love being part of a team, and being inspired by my colleagues. Just last weekend, a bunch of us broke into barely concealed smiles as one of our colleagues went to town on a clarinet solo in West Side Story. It’s lots of fun to hear personalities being expressed, and getting to play around with that as part of the group. I also love the variety of orchestral repertoire, with a program that changes every week. Also, we team up to present projects like “Works by Women”, a chamber music program we’re presenting this March as a musical celebration of International Women’s Day and Women’s History Month. We have a wide range of composers represented in our program, from Clara Schumann, who celebrates a 200th birth anniversary this September, to Mary Kouyoumdjian, a composer in her 20s living in Brooklyn. We will perform it as pre-concert chamber music at Symphony Hall, and also at art galleries and schools around Atlanta. And – this has to be said – I love having a great harp at the hall and not having to move mine around for every concert!! Any advice for students wanting to pursue a career as an orchestral musician and concerto soloist? Remy Johnson: My advice would be to make it a goal to always keep learning. Challenge yourself to learn as much repertoire as you can, and I don’t mean just excerpts. While your technique has to be razor-sharp for the orchestra parts, excerpts alone won’t get it where it needs to be. Stay curious about learning new pieces, especially ones you don’t “have to” for a lesson or a concert. Play plenty of chamber music to develop your ear and your ability to respond in the moment to what another musician is doing. Try to learn from every experience. One of my colleagues, a bass player in the orchestra, is now a world-renowned composer because he opens up his ears and learns from everything we play, whether his part is “exciting” or whether he’s counting rests. He has thought about what works in pieces by the masters, and what works and doesn’t work in new pieces we’re playing. I’m not saying we all have to go out there and compose harp music (though a bunch more harpist/composers would certainly be welcome! ), but find your own mindset and approach to music-making that keeps it fresh and interesting, and challenge yourself to grow from every experience. Do you have any favorite orchestral repertoire or a particular composer that you love to play? Remy Johnson: I love playing Mahler because the emotional content is so profound. I also am a huge fan of ballet, so love it when we play Tchaikovsky and Prokofiev. (I honestly still love playing the Nutcracker cadenza!) I also love playing the music of Michael Kurth, the composer who plays in the ASO, whom I mentioned. His music is really beautiful, and the rhythms can be very unexpected and complex, which is fun. Learn from Elisabeth Remy Johnson this summer! 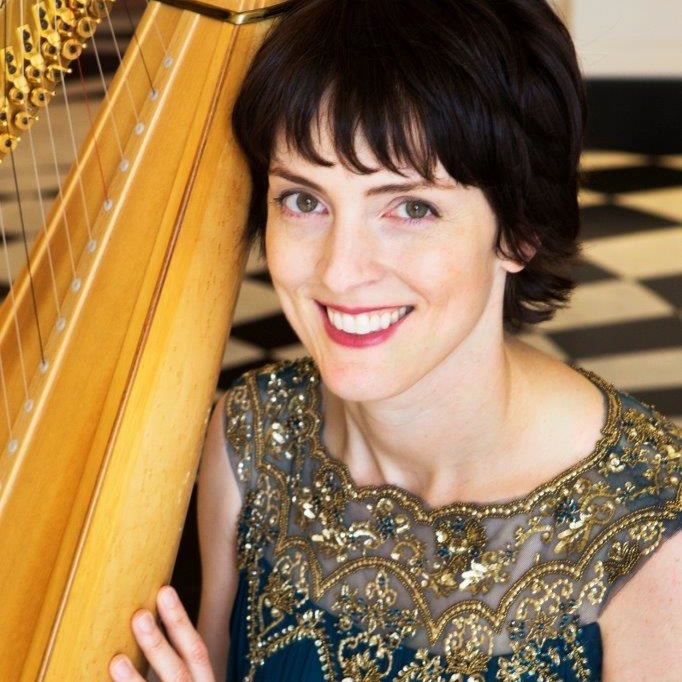 Ms. Remy Johnson will take the AHS Summer Institute stage on Friday, June 21, 2019 at 7:30PM presenting a solo recital performance alongside the Chicago Harp Quartet! Her master class on concertos and orchestra excerpts will be held on Saturday, June 22, 2019 at 9:15AM. In addition, Ms. Remy Johnson with Maria Luisa Rayan will lead Camp Innovation, an immersive one-week residential camp for harpists ages 12-17 held in conjunction with the Institute & National Competition. Plan to join us! Event details, registration, and master class application information is available on AHSSummerInstitute.org. Newer PostAbigail Kent, AHS Concert Artist 2017-2019 shares her experiences and offers tips to competitors!